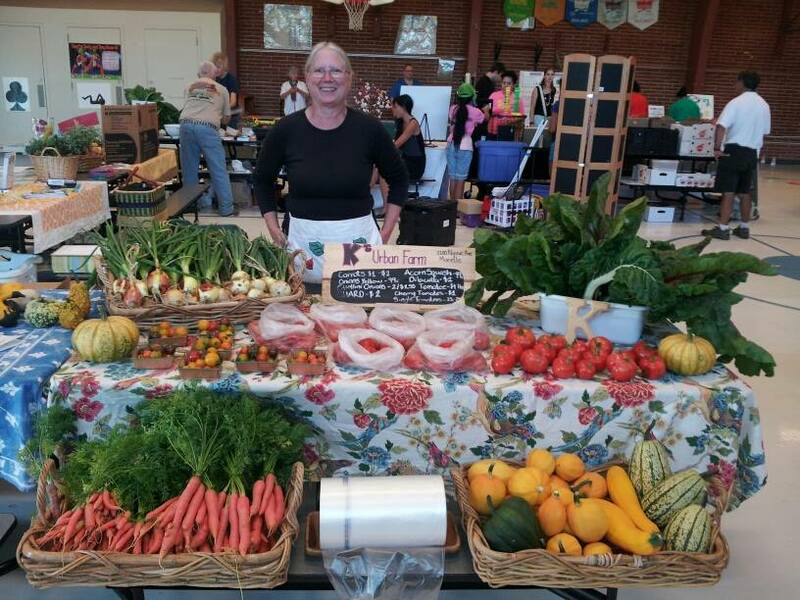 Our mission is to operate a community supported farmer’s market that provides viable economic outlets for farmers and producers, access to locally crafted and farm-fresh products, quality food access for low-income families, and education concerning food and sustainable agriculture. Are you passionate about supporting a sustainable and viable local economy? Consider joining the BCFM Board and help us continue making a positive impact in our community! 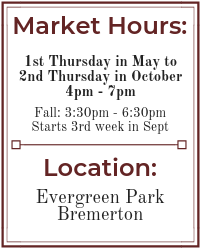 The Bremerton Community Farmers Market is a fabulously welcoming and bustling market tucked among the trees and beside the sea at Evergreen-Rotary Park. Each Thursday from May to October we offer a market bursting with great vendors, music, educational opportunities, kids’ activities, and more. The market is responsibly managed with an eye to offering innovative programs and initiatives for our community. Our board is fun and forward-thinking, and we enjoy the work we do. A background in finance, marketing and/or fundraising are strongly preferred. Board member responsibilities require an average commitment of about 6-8 hours per month, for a three year term. Duties include attending monthly board meetings, plus other tasks as assigned (based on your skills and interest) such as working in committees, community outreach, special events planning, program planning and implementation. 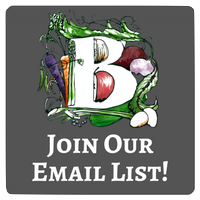 To apply, please fill out the 2019 BCFM Board Nomination Form and e-mail to manager@bremertonmarket.com. Bremerton Community Farmer’s Market is a non-profit business organized under the State of Washington Department of Revenue. Click to join our eNews.